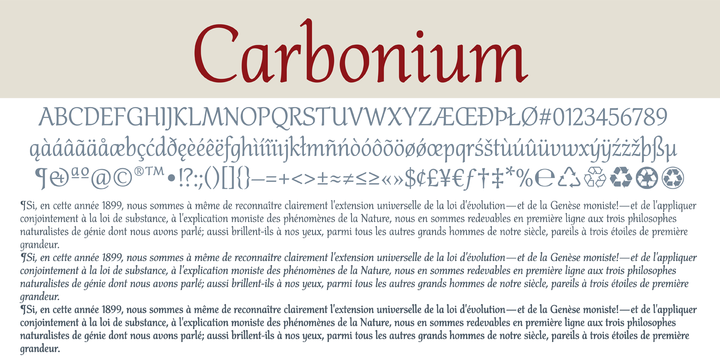 Carbonium is a modern cursive (upright & oblique) typeface created & published by Pawet Burgie that contains 12 fonts, proportional lining figures & proportional Old Style figures, language support. It is ideal for packaging because it has popular recycling symbols. Enjoy! A font description published on Monday, February 9th, 2015 in Fonts, Pawet Burgie, Pawet Burgie by Alexandra that has 4,291 views.